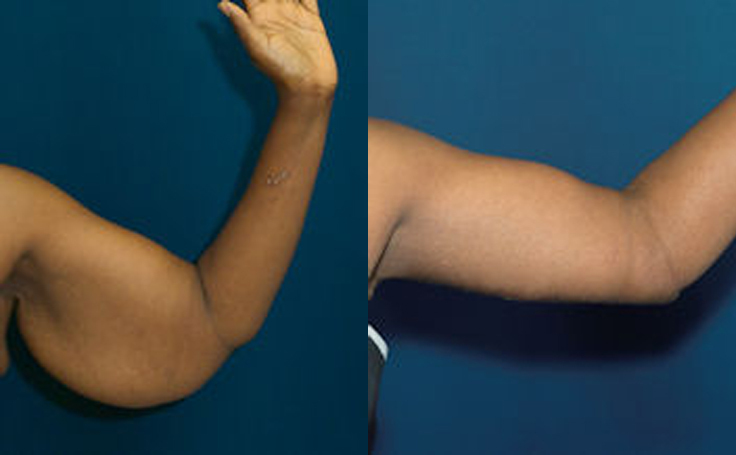 After losing 130 pounds, this 38 year-old African American patient had an Arm Lift to remove the hanging excess skin. 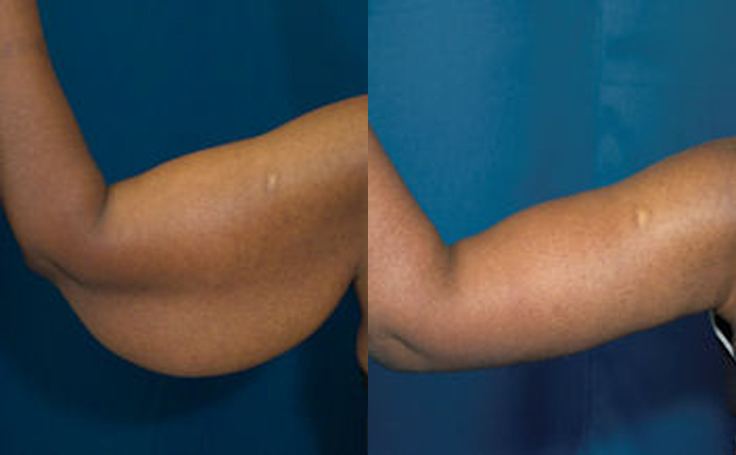 Also referred to as the Brachioplasty, the Arm Lift procedure is often performed on patients who have experienced a significant weight loss. Dr. Rodriguez performed the procedure under IV anesthesia in his Baltimore surgery center. The use of IV anesthesia instead of General Anesthesia will give you a quicker recovery and almost eliminate nausea following surgery.